After more than a century of male leadership, car manufacturing giant General Motors became embroiled in a scandal as it emerged a design flaw was putting its customers at risk. In 2014 – in the middle of the crisis – Mary T Barra was promoted to clean up the mess. 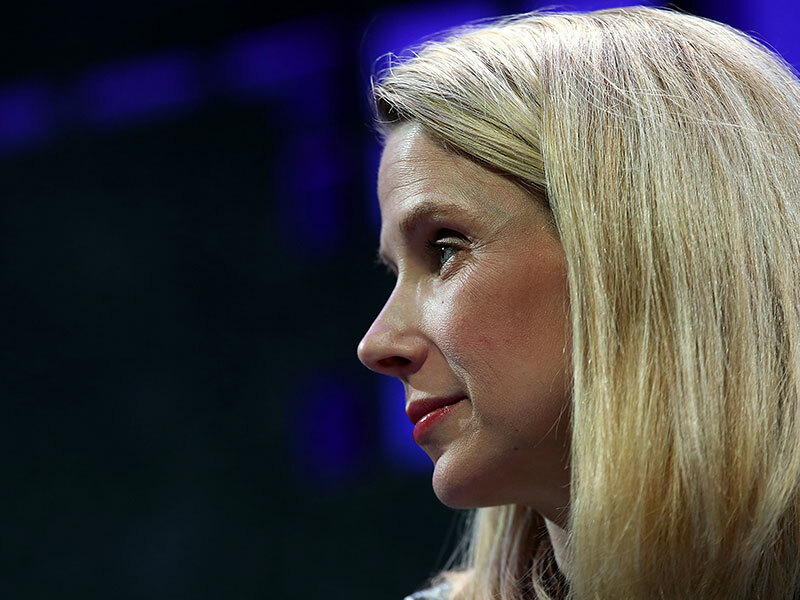 A similar story can be found in Silicon Valley, when Marissa Mayer took the top position at Yahoo in 2012, just as the company was falling into a dramatic decline. 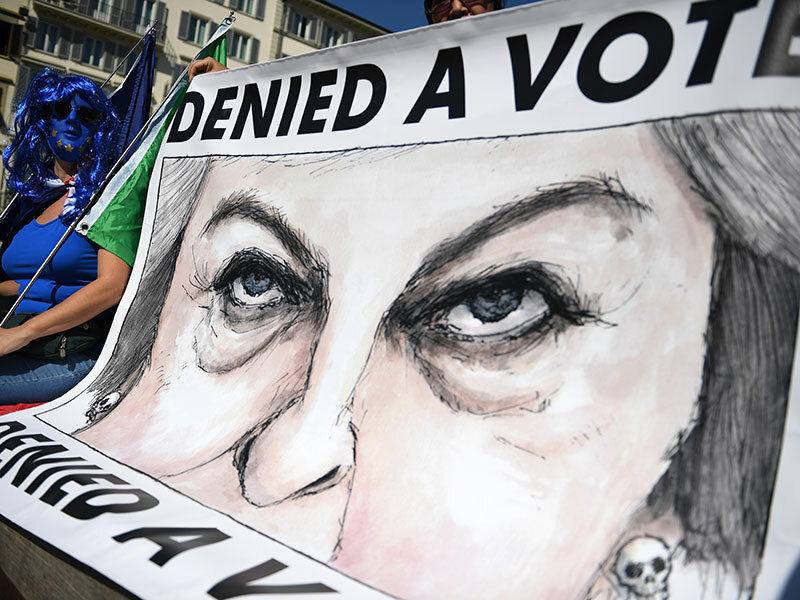 In an altogether separate setting, Theresa May became the UK’s first female prime minister for 26 years in July 2016, ready to preside over the country’s fraught break-up negotiations with the European Union. These are textbook examples of what has become known as the ‘glass cliff’, a phenomenon that sees women more likely to be chosen for leadership roles when the task at hand is considered risky. Anecdotal examples like May, Barra and Mayer are certainly easy to come by, but the glass cliff has also been verified by a growing body of evidence. It has been shown to infiltrate leadership structures in all corners of society, infecting schools, Fortune 500 companies and political institutions. While much of the research on the subject focuses on women, it has also been found to apply to other minority groups. Inevitably, these precarious roles make those in question more likely to fail during their tenures. At a time when women and minorities are being promoted to more leadership positions than ever, their progress risks being seriously undermined by the nature of the roles they undertake. The glass cliff phenomenon is particularly dangerous due to the fact a correlation-causation slip-up is all too easy to make. Take the following piece of evidence: female CEOs are more likely to be sacked than their male counterparts. According to a study by management consulting company Strategy&, 38 percent of female CEOs have been forced out in the last 10 years, while only 27 percent of their male counterparts’ tenures came to the same sticky end. Such evidence can easily be twisted in a way that paints a negative picture of female leadership, fortifying already skewed stereotypes about women. One commentator made a particularly ugly correlation-causation blunder in a report run by the UK newspaper 15 years ago, claiming: “The triumphant march of women into the country’s boardrooms has… wreaked havoc on company performance.” The article presented data demonstrating the appointment of women coincided with poor company performance, coming to the conclusion that women are best kept away from boardrooms. Since the article was published, research into this correlation has unearthed a wealth of important findings surrounding the way gender dynamics influence leadership decisions. For example, a deeper investigation into the evidence used in the report by The Times uncovered that, rather than causing negative performance, female appointments were more likely to be preceded by a period of poor company performance. The implication of this observation forms the basis of the glass cliff concept that women tend to rise to the top against a backdrop of crisis or decline. A range of different research approaches has consistently reinforced this notion. For one, Utah State University investigated CEO appointments at Fortune 500 companies over the past 15 years, with the resulting research finding businesses are much more likely to choose a woman for the top job when the company is performing poorly. The phenomenon is also at play in politics: a study from the University of Exeter examined the UK’s 2005 general election and found that women were more likely to be chosen to run for hard-to-win seats. But, according to Haslam, the most telling evidence comes in the form of controlled experiments. Haslam himself conducted a series of such experiments in a study back in 2008. His experiments each devised a hypothetical hiring decision, asking participants whom they would choose for a leadership role out of a series of candidates. The participants, who consisted of a variety of business leaders, management graduates and high school students, were presented with a choice of three CVs: an underqualified male, a qualified male and a qualified female. Groups were then randomly assigned information detailing whether the organisation in question was performing well or poorly. The results ultimately found that, when faced with an organisation in crisis, people consistently favoured female candidates over male candidates. One such scenario, which was presented to students, asked participants to choose a youth consultant for a music festival. Out of those told the festival was doing poorly, 75 percent preferred the female candidate. Meanwhile, just 38 percent chose the same female candidate when they were told the festival was performing well. Similar results were found when university students were presented with the choice of a new financial director for a hypothetical company. When presented with information suggesting the company’s performance was improving, 57 percent of the students preferred the female candidate. This proportion jumped to 87 percent when the groups were told the company was performing badly. The task of understanding the root cause of the problem has spurred a broad research effort. According to Haslam, who has been involved from the beginning, we have now come a long way in terms of understanding the processes at play. Perhaps not surprisingly, there is no single explanation for the phenomenon. One theory is that women receive fewer opportunities than men, making them more likely to accept risky positions. And yet, this cannot account for the fact people actively single out women for roles associated with crisis situations. Another idea is it could be the result of outright sexism, with people simply singling women out for inferior positions. The reality, however, is probably murkier than this. One approach posits the phenomenon is related to ingrained assumptions about men and women. For example, one study found women are more likely to be associated with the traits considered useful in a crisis. The study asked participants about the desirability of certain traits in various scenarios. Words used to describe traditionally masculine characteristics like ‘assertive’, ‘forceful’ and ‘adventurous’ were often seen as desirable at times of success, while terms often regarded as feminine, like ‘tactful’, ‘courteous’ and ‘understanding’, were often seen as being more useful during times of crisis. Complicating things further, there is also evidence suggesting the phenomenon can be traced back to the classic ‘old boys’ club’ problem. On this logic, men in senior positions prefer to hire ‘in-group’ members for the cushy jobs, while happily falling back on women when a job is considered risky. Perhaps as an extension of the same kind of process, some argue women are seen as more expendable, and are therefore put forward for risky roles as scapegoats. Vitally, taking on a difficult role doesn’t necessarily mean failure is inevitable. According to Marston, while part of the issue comes down to deep-rooted structural problems, there is a lot that can be done at an organisational level to support women, such as the company culture and the attitude adopted by the board of directors. Marston said: “I want to highlight that success for women in leadership ultimately should not come down to ‘fixing women’. We need to spark a process of transformative change within the business world that offers broader opportunities for women leaders, and when they do take on leadership in crisis, that supports them and helps them to be successful.” Yet, together with Haslam, she emphasised that awareness and understanding of the issue is fundamental. The work that has gone into understanding the issue has been effective in raising some crucial questions about women’s experience in the workplace. However, there is still a long way to go in establishing greater recognition of both the glass cliff itself and the unhealthy gender dynamics that it embodies. Having appeared in the Oxford English Dictionary’s Word of the Year Shortlist for 2016, awareness of the concept is certainly gaining momentum. But as with the now well-worn term ‘glass ceiling’, it is only through improving visibility of the issue – both at an organisational level and more broadly – that the important questions it uncovers will be addressed.